National Estate Planning Awareness Week occurs just before the anniversary of my father's death, so I have made this the time of year when I openly nudge you to "do your estate planning". You are not alone if you have a tough time tackling these emotional issues. According to a 2015 Caring.com survey of adult children, only a little over half (56%) of American parents have a will or living trust document. Nearly one-third of parents (27%) do not have estate documents in place and 16 percent of adult children are unsure if their parents do. Of those that do have a will, 58 percent don’t know the contents of the documents. To tackle the issue and to encourage family conversations, here are some of the basic documents that you will need. Trusts -- These are not necessary, but many people have either revocable (changeable) or irrevocable (not-changeable), depending on family and tax situations. For 2015, the first $5.43 million of an estate is exempt from federal estate taxes, so theoretically a husband and wife would have no federal estate tax if their estate is less than $10.86 million. If an estate is above the threshold, a revocable trust may be suitable to consider. After completing all of this hard work, you need to inform your executor/executrix as to where everything is stored. After death, things get complicated, because you have to shift between grieving and doing. I learned not to go too fast with my mother, so that she did not feel overwhelmed. It’s helpful to remember that everyone in the family grieves in different ways, which is why patience and compassion are often your most valuable commodities during the process. Get organized. I found solace in a spreadsheet, which helped me keep track of the estate settlement progression, but you can use any system that works for you. Just remember that there are usually many moving parts and you may not be at the top of your game for remembering everything that needs to get done. A visit to your favorite stationery store will help you keep records of everything stored neatly in one location. Request plenty of death certificates. Some institutions want originals, not copies, and it’s easier to make the request from the funeral home, not after the fact from the city or state. Keep track of all bills that are attributable to the estate. These include funeral and memorial arrangements, death notices and other ancillary expenses. The estate can reimburse individuals for these costs. Contact the estate attorney. When you are ready, schedule time to meet with the estate attorney. 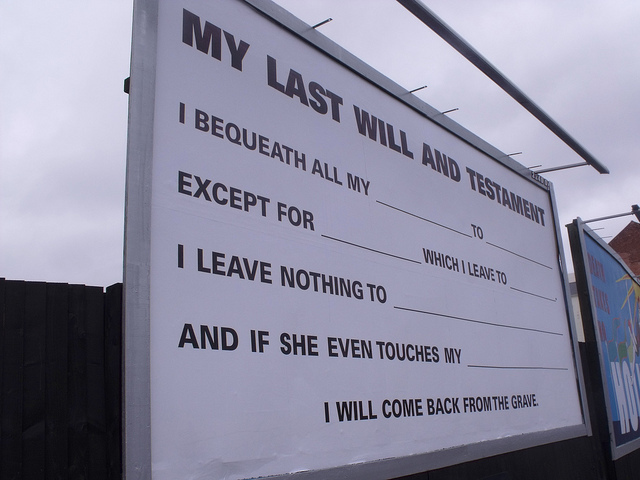 He or she will likely tell you to gather documents and to ascertain a date of death valuation for all accounts to which the deceased held title. If there is a surviving spouse, you should itemize what is in both the living and deceased spouse’s names. Contact the CPA. Even if there are no estate taxes due, in most cases, it will be necessary to file an estate tax return. If you prepare your own taxes, it may make sense to hire a pro to help walk you through the process. A well-planned estate is a wonderful legacy you can leave your heirs--instead of untangling a messy estate, they can follow concrete steps, which allows them to take care of business while mourning their loved one.